International Yoga Day 2016 was really a big event for the whole country. PM Narendra Modi himself joined the event and in the city beautiful, Chandigarh, Yoga seemed to spread its branches everywhere. This is world’s second International Yoga Day and was hosted by many cabinet ministers in several parts of the country. In the capitol complex, PM Modi started the day with wonderful poses. He even went on a 25 minutes ‘Mann ki Baat’ round with the volunteers and brightened their day. “Let us make Yoga more popular world over. Let India produce good Yoga teacher,” said PM Modi. In other cities of India, like Faridabad – Baba Ram Dev himself led the yoga campaign and several schools also celebrated this day with cheers all over the country. Earlier, even the Foreign Affair Minister Sushma Swaraj also declared that this second International Yoga day will be celebrated in total 191 countries. This was how International Yoga Day 2016 was celebrated in the whole world. 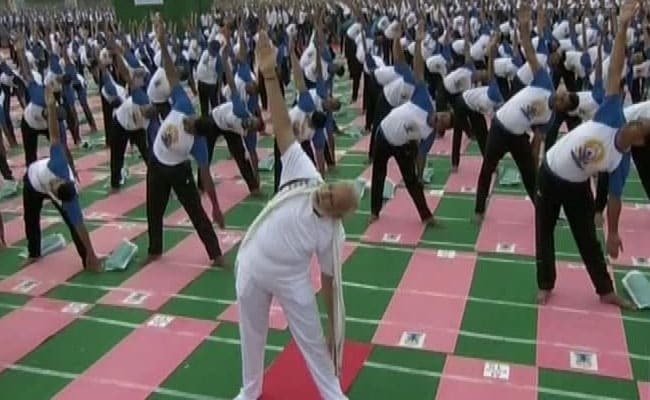 Now with our Prime Minister’s words, this event will be larger next year and yoga will be recognized in each and every remote part of the world.